Now it’s time to decide what your wedding dress code will be! Because of the many options, this part tends to get a little tricky, but picking the right outfit when it comes to attending a wedding should be fun, not stressful! Don’t worry – we’ve created the ultimate wedding dress code guide to ensure that your guests (and you!) will know exactly what to expect on the big day. Casual, which can also be referred to as ‘informal,’ essentially means that pretty much anything goes for your guests (jeans, a blouse, sundress, boat shoes, etc.). Notice, though, that we said pretty muchanything. Even if you’re planning a backyard reception at your parent’s place, no one wants to see Uncle Scott show up in short shorts. Feel free to put asterisks denoting certain items that you want to omit – clothing you wouldn’t want to see in your wedding pictures (e.g. logo T-shirts). Up to you! This is very oxymoronic in the sense that it literally mixes the terms dressy and causal, AND it’s confusing in the sense that the actual attire can vary from wedding venue to venue. Generally, though, for women this means pants and a blazer, sundress, or trendy top and skirt. Guys can wear slacks or chinos and a collared shirt. Your guests should skip the jeans and sneakers… the code may say casual, but it’s more formal than that. This one’s another that lies somewhere between casual and formal. We recommend a cocktail dress for the ladies and a suit and tie or sports coat for the gents. 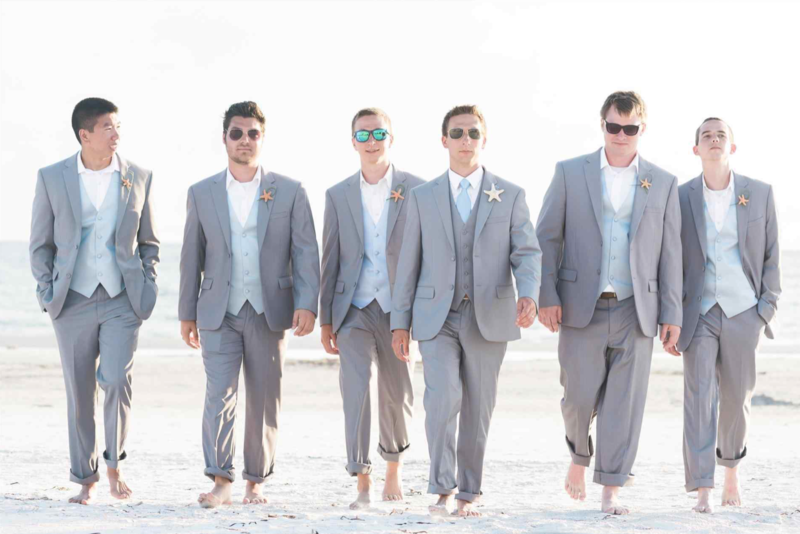 Planning an outdoor, beachfront wedding with a classy flair? Ladies should wear a more formal sundress (knee-length) or maxi dress (flowy, floor-length) with flats or sandals and a summer suit with linen shirt, linen pants or khakis and sandals for the guys. This dress code pairs with themed weddings or weddings that fall on a holiday (and will also celebrate the holiday in some way, e.g. a ‘winter wonderland’ wedding held near the Christmas holiday). Still, your guests shouldn’t show up in Santa suits or ugly sweaters. Unless specific dress code directions are given, guests should opt for cocktail-style attire with a fun twist—such as a sequin dress, satin top, or printed tie. This dress code option is a bit tricky because it’s less formal than “black tie optional,” but more formal than anything previously mentioned. For the men, we recommend a darker colored suit and tie. Women can go with a formal cocktail dress or a pant suit. Dress shoes are expected. 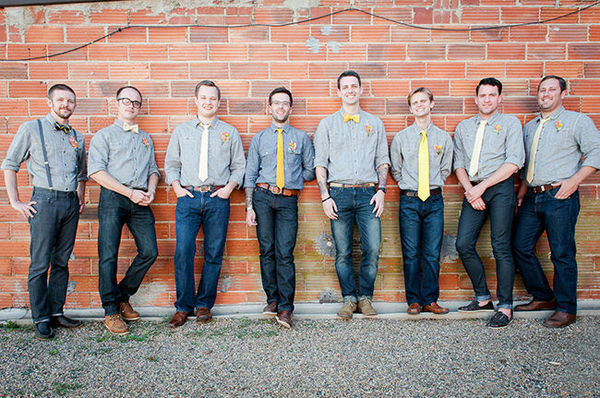 Also known as formal, this is one of today’s weddings most popular dress code options. They indicate that the wedding party will be in formal attire, and it’s optional for all guests. Men can again opt for a dark suit or tux, Women should go with formal evening wear (floor length dresses or evening pant suits). A black tie wedding usually indicates an evening affair where the men are expected to wear tuxedos and the women should dress in formal gowns of any length. 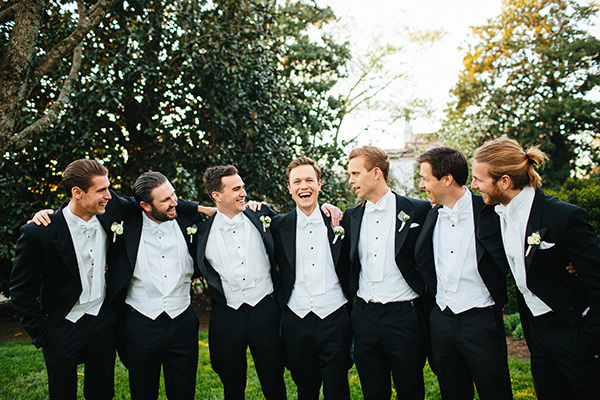 White tie is more or less the platinum of wedding dress codes. As it goes, men should wear a white bow tie, black coat with tails, and a white pique vest over a formal shirt. Women should wear long, formal evening gowns and gloves when enjoying cocktails and dancing (to be removed during dinner). At PAPER & LACE, we love to provide and assist in creating the perfect wedding experience for our clients. We hope this “Wedding Dress Code 101” guide takes some of the pressure off of your invitation planning and your guests. Don’t forget – when you’re ready to create gorgeous, custom wedding invitations, reach out to the experts at PAPER & LACE. Together, we’ll create something beautiful.